Fairy Tales: Where to Begin? 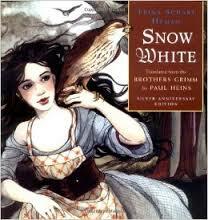 Fairy tales have been making quite an impressive comeback in recent years. With the success of the television show Once (featuring an enchanted Maine town filled with fairy tale characters), Stephen Sondheim’s Into the Woods (which incorporates many fairy tale characters), and the new version of Cinderella currently showing in theaters, fairy tales are all around us. Since many grown ups have fond memories attached to the iconic fairy tales, we naturally look forward to sharing these stories with our children. But where to begin? Which stories work well for toddlers and preschoolers and what versions of the stories should you choose from the dozens available? A brief walk through the 398s, as we librarians refer to the fairy tale section of the Dewey Decimal organized non-fiction shelves, reveals a wealth of gorgeously illustrated editions by dozens of beloved authors from Tomie DePaola to James Marshall to Steven Kellogg. This isn’t to say that your children or anyone should exist on a steady literary diet of disturbing things. 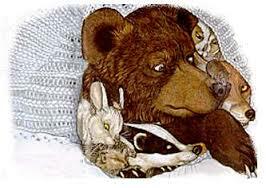 Rather, let fairy tales become part of your regular rotation of stories, and create a well-rounded and well-read kid. Wherever you stand on the issue, we can all agree that fairy tales are fascinating, often cautionary, tales steeped in various histories and cultures and figuring out where to dive in can be a challenge. While I can’t offer you a comprehensive list of the best fairy tales available, I can offer you my favorite fairy tale interpretations for your reading pleasure. Some will be chosen mostly for their art, while others are chosen for their storytelling or sense of humor. All have been heartily read and enjoyed by my personal team of preschool testers. 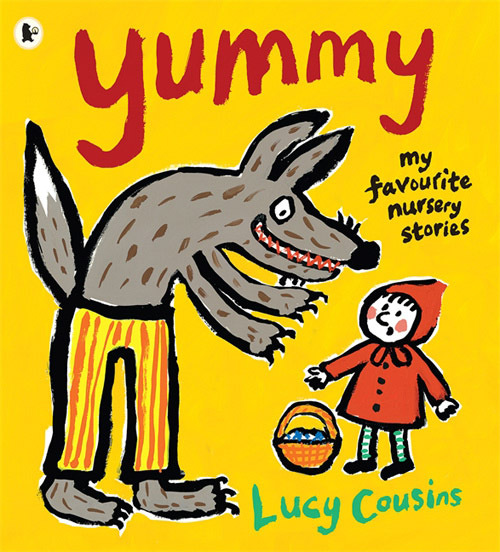 Best known for her Maisy series, author Lucy Cousins illustrates eight favorite tales in this collection including The Three Little Pigs, The Little Red Hen, Henny Penny, Goldilocks and the Three Bears, The Three Billy Goats Gruff, The Musicians of Bremen, The Enormous Turnip and Little Red Riding Hood. 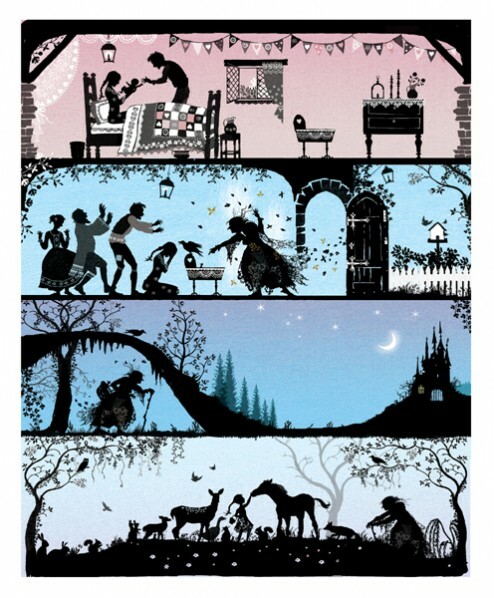 This collection is the perfect introduction to fairy tales for your youngest readers. But be forewarned: these versions do not shy away from violence! Foxy Woxy gobbles up all of Henny Penny’s friends and the hunter chops off the wolf’s head with gusto in Little Red Riding Hood. 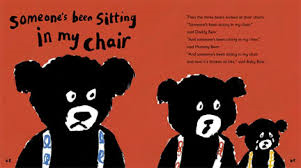 Lucy Cousins’ big bold illustrations draw the attention of toddlers as well as preschoolers and her simple, clear, no frills telling of the familiar tales make them easy to understand and relate to. My two year old responded very strongly to the stories in this collection and we read them over and over and over again. I watched her study the illustrations on her own, flipping through the pages one by one. To a grown up’s eyes, Lucy Cousins’ art seems simplified, like it could have been drawn by a child. This is the key to her success with little ones, I think. Big bold lines and bright primary colors invite them right into a world they can understand. 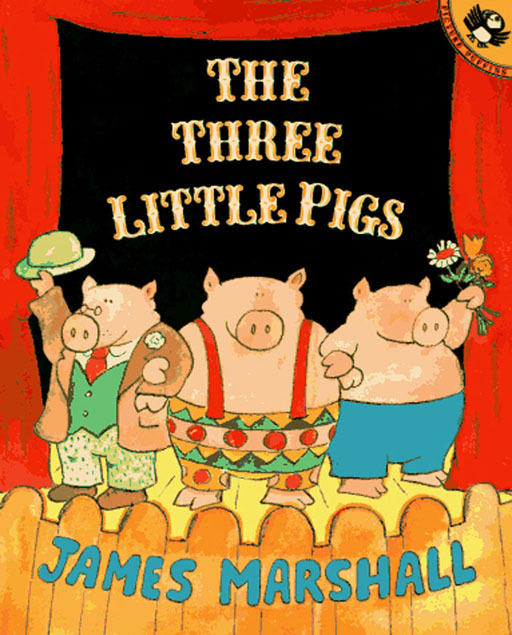 James Marshall is a classic children’s author and creator of the distinct and hilarious George and Martha books. Marshall’s greatest strengths as an author and illustrator are his sense of humor and his irreverent approach to storytelling. He inserts little winks and asides into all of his texts, including his version of classic fairy tales such as The Three Little Pigs, Cinderella, Little Red Riding Hood and Goldilocks and the Three Bears. In his versions of these tales, you will find a sly humor and substantial, engaging prose. I love the slightly cross-eyed gaze of his big bad wolf who swaggers around like a shady street thug in his stories. These texts work well for preschool through 1st grade. 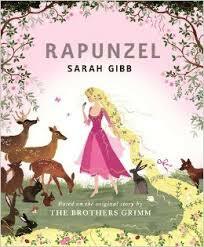 Don’t be fooled by the abundance of pink, illustrator Sarah Gibb’s version of Rapunzel is stunning and unique with intricate silhouettes and graceful interpretations of the action in this well-known story. It is cleaned up a bit from the original, making it a wonderful, non-Disney companion or alternative to Disney’s Tangled. Perfect for the princess-obsessed preschoolers in your life. 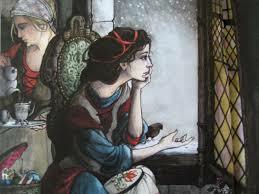 Hyman’s illustrations of classic fairy tales are the truest most perfect evocations of these stories. Dark, eerie, forlorn and gorgeous, Hyman’s characters often stare right out of the page, inviting you into the story. Her Snow White is so stunning, you can spend hours simply gazing at the details and the beautiful faces of her characters. Her heroines always have perfectly disheveled hair and gorgeous period clothing. I mean, really, her tableau could have inspired Anthropologie’s whole aesthetic. 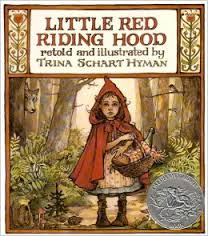 Hyman illustrated over 150 books and won the Caldecott medal for St. George and the Dragon. I haven’t yet had the pleasure of exploring all of these books, but her Little Red Riding Hood and Snow White stick out as my favorite versions of those stories. Due to the length and depth of these tellings, her books work best with older kids, kindergarten through third grade, ideally. And yes, there is no holding back in these versions. Expect the bloodiest. The Flying Witch by Jane Yolen. Illustrated by Vladimir Vagan. delicious soup made of turnips, the witch no longer wants to eat her. Intricate illustrations filled with details of life in the Russian countryside bring this story to life. While The Flying Witch has a deliciously frightening character in the witch, it has a happy ending, making it a great choice for parents who wish to avoid going all the way into the dark, twisted world of fairy tales and prefer to merely hint at the big bad instead. 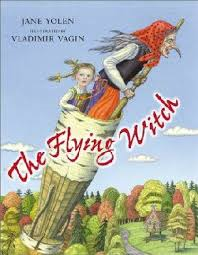 Author Yolen drew inspiration from hundreds of Baba Yaga stories to craft her tale. 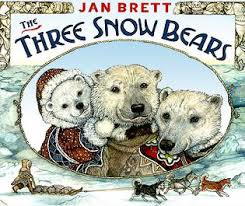 It’s hard to choose one title by Jan Brett, since she has authored so many memorable tales, many of which are retellings of fairy and folk tales. Brett has a distinct illustration style in which each page is framed with panels showing what other characters in the story are up to and hint at what might be coming next. Her wonderfully expressive animal faces delight young children, making them a hit with the preschool crowd. Googling her name reveals dozens of photos with Brett holding or interacting with live examples of many of the animals she illustrates so well. She seems to live an amazing dream life that involves travelling the world to research first hand the places, the people and the animals she then returns home and writes great books about! Brett’s narratives of well known stories such as the The Mitten and The Hat are simple and uncomplicated, while her reimaginings of other stories like The Three Snow Bears and Cinders : A Chicken Cinderella add a fun and imaginative twist on the familiar stories that young children will have no problem recognizing. **Stay tuned for part two of this post, in which I will recommend fairy tales for big kids and grown ups. Next Post Don’t overlook the noble audiobook! Enliven the mundane aspects of your life with a good listen.